The world’s first Cryptocurrency Credit Union built on decentralized payment processing in a system without trust. Mensarii is a decentralized platform that aims to help consumers and traders overcome barriers from the traditional banking industry. With a blockchain validated system, inbuilt errors and ancient bank processing irregularities could eventually become a thing of the past. Mensarii will achieve a comprehensive decentralized risk management process with a dedicated platform that will, with the help of blockchain monitoring and machine learning technology, seek to identify fraud before it becomes a systemic problem. 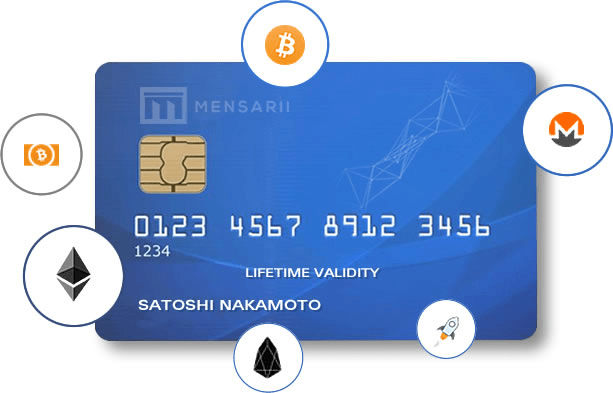 Mensarii will use blockchain ethereum technology to efficiently facilitate the full transparency of any disputed payments in the Union and bring greater transparency to the market in terms of processing and fraud costs by building the first decentralized platform that interacts with Ethereum blockchain to complete payment processing like Visa, MasterCard, SEPA, Foreign Currency, China Union Pay, ETH, LTC, BTC and many other payment methods. Mii introduces multi-tiered governance for decentralized applications. Decentralized apps (DAPs) will have governance models controlled by their members. Proposals for change may be requested by any member, and approved by the elected representative of DAO. Then it will require voting by union members who are in good position and active. We offer all members a prepaid credit card fundable using cryptocurrency and accepted at merchants worldwide. at appeared on their bank or credit card statement. Consumers will also be assigned a consumer identification to provide a scoring system of trust. If fraud happens for a certain number of instances, then the consumer would have a lower score. This scoring system is established to protect the card issuers. The Ethereum blockchain is used to efficiently facilitate full transparency of any disputed payments within the Union. The Mensarii Coin backs those reserves via smart contract with an open dispute resolution center. All chargebacks handled on the blockchain are tied into the Global Pay ID. · It has an End Transactional laundering. · It Handles chargebacks via smart contracts to become. · It is transparent and tied to the global ID. · It Protects the customer. · It Protects Customer and Merchant Funds. · It has an End Card Running. · It Builds customer confidence. · It Protects the financial institutions..
Mensarii will follow a decentralized governance model. Mii coin will introduce a multi-tier governance for decentralized applications. The decentralized application (Dapp) will have a governance model which would be controlled by its members. The total token supply is 2,000,000,000 (two billion), which a total of 1,100,000,000 (one billion and one hundred thousand), Mensarii (Mii) will be released for sale. Additionally, 400,000,000 Mensarii (Mii) will be held for the development fund to incentivize the development team and to recruit more talent for Mensarii. There will be no follow-up sale for Mii.